Sir Adolphus Ekejiuba is a retired geoscientist who spent most of his working career with the Shell Petroleum Development Company of Nigeria Limited. He obtained an honours degree in Geology from the University of Ibadan, Ibadan, Nigeria. 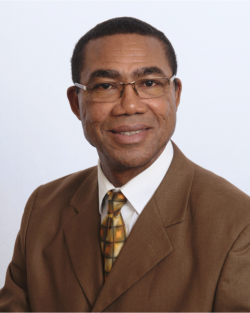 In the course of working in Shell, Adolphus attended many technical and non-technical development courses relevant to the wide variety of areas encountered through his career. A very competent professional, Sir Ekejiuba worked in areas that encompassed field operations which included operations geology and drilling and production operations as a petroleum engineer. Other aspects included field management involving reviews for appraisal and development, as well as government and joint venture liaison, and operations safety. He was the Lead Geologist and a member of the Management Team for the very successful, US$1.2bn Shell’s EA Shallow Offshore, Oil and Gas Development Project, in Nigeria which scored many “firsts” in Nigeria, Africa and the world. Sir Ekejiuba is a good team player and demonstrated ability to lead a project team and mentor younger staff. His experience is supported by many published technical work. He voluntarily disengaged from Shell in 2004, after more than 25 years of services in the company in both Nigeria and The Netherlands. Since retirement he was, for some time, involved in consultancy services in Nigeria and later took to writing outside his technical calling. 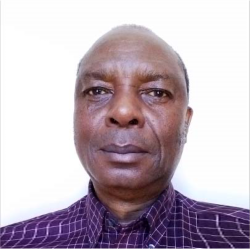 Adolphus is a member of the American Association of Petroleum Geologists (AAPG), Nigerian Association of Petroleum Explorationists, and the Society of Petroleum Engineers. He is also a Certified Petroleum Geologist by the AAPG. In 2015, Sir Ekejiuba successfully published his first book Love and Stigma: The Outcast System – a book written towards the Outcast System Elimination Project. Sir Ekejiuba is a member of the Ancient and Noble Order of Knights of St. John International (KSJI). He is married with children. Rev. Fr. Bernard Emma Okafor is a priest of the Catholic Diocese of Okigwe, Imo State, Nigeria. He holds a Master’s degree in Theology (Nigeria) another Master’s degree in Counselling Psychology and a Ph.D in Counsellor Education and Supervision (USA). Fr. Bernard hails from Umuariam in Obowo LGA of Imo State and has served as Dean of Students’ Affairs, Seat of Wisdom Major Seminary, Owerri. He served as Parish Priest in parishes in his diocese, associate pastor at St John de la Salle Parish, Chicago, Illinois, USA and adjunct faculty of Saint Xavier University, Chicago. Currently, he is the Principal of Mercy Girls’ High School, Ehime Mbano, Imo State, Nigeria. Rev. Fr. (Dr.) Okafor is a member of American Counselling Association (ACA), North American Society of Adlerian Psychology (NASAP), Association of Counsellor Education and Supervision (ACES), and belongs to honour society of Chi Sigma Iota. 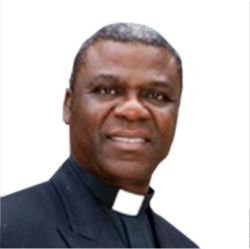 Fr Okafor has written books, articles and made presentations in religion, psychology, as well as Igbo language and culture. He has travelled wide around Nigeria, as well as some African countries, Europe, USA and Canada. 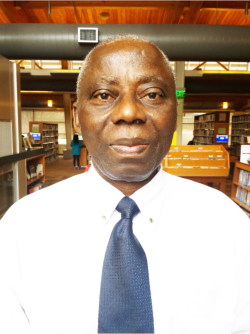 Dr. Chinenyenwa Okereke is a retired petroleum engineer who now occupies his time with helping charitable organization (pro bono) evolve and implement technical projects. The first half of his 24-year career in Shell (E&P) Nigeria was mainly in creating reservoir engineering driven solutions for endeavours in exploration, appraisal, field development, reservoir management, and business planning. During the latter part of his Shell career, he specialized in building and leading multi-discipline teams implementing billion-dollar field development projects. Post-Shell career, he worked for some years in a consulting company helping small E&P companies clarify and realize business objectives covering asset acquisition, field development, and management of ailing reservoirs and fields. Dr. Okereke was educated in the United States of America acquiring the B.S., M.S., and Ph.D. degrees in Chemical Engineering and is married with children. Dr. Jude Iheoma, a proven bureaucrat, has served the State of New Jersey under the Democratic and Republican Governors for more than twenty five years in both clinical, administrative, research and policy making positions. He held an adjunct faculty position as an Assistant Professor in the Department of Graduate Education, Leadership and Counselling at Rider University and a Senior Assistant Professor of Psychology at Mercer County Community College. He is presently the Founder and Chief Executive Officer of Mental Health and Addiction Recovery in Africa (MhARIA) – a Nigeria-based NGO that advocates for public policies that will abrogate discrimination and remove systemic barriers that impede treatment of individuals with Mental illness and Addiction in Nigeria and Africa. Dr. Iheoma was a founding Member of the Coalition of African Organization, Philadelphia, and was elected the first President of the organization. He represented African Community in Philadelphia at the Mayor’s Commission on African affairs. He has held key Government appointments in the States of New Jersey and Pennsylvania and served in the following capacities: State of New Jersey Opioid Treatment Authority, Treatment Network Representative: New Jersey, New York, Puerto Rico and the Virgin Island, Project Director, Medication Assisted Treatment Initiative, New Jersey Mental Health Planning Board, New Jersey Pharmaceutical Advisory Council, City of Philadelphia Mayor’s Commission on African Affairs, Philadelphia Multicultural Affairs Congress, Philadelphia Museum of Art, African Art, African Voices Committee and New Jersey Mental Health Advisory Board. He is married with children. Dr. Damian Anyahara Uzosike graduated from the College of Medicine of University of Lagos, Nigeria. After his Housemanship at the Lagos University Teaching Hospital, he eventually started practice at the General Hospital Okigwe, Imo State, and later transferred to the then Queen Elizabeth Specialist Hospital Umuahia. He later started his private practice at Isinweke Etiti in his own hospital, Uzosike Hospital, Etiti, in Imo State where he served as the Medical Director. Dr. Uzosike also had a brief stint in General Surgery at the Korle-Bu Teaching Hospital, Accra, Ghana. He retired from his medical practice in Nigeria after twenty years in that capacity. He moved to the United States of America where he resumed in the medical profession. He has since served at high patient volume hospitals in California, USA and has now embarked on his deserved full retirement after 35 years of active service. Dr. Uzosike is a skilled medical professional registered with the California Nurses Association as well as the Nigerian Medical Association. He has practised telemetry and ER nursing and was versed in minor to moderate surgical procedures. 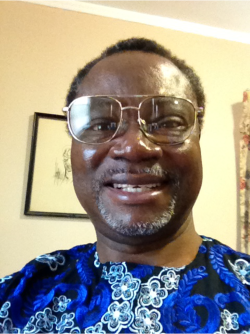 He trained auxiliary nurses to safely work with Registered Nurses in his Nigerian practice. Dr Uzosike championed the campaign against HIV/AIDS and Sickle Cell Disease while in private practice, targeting the younger population in the secondary schools. As a well-known and an excellent medical doctor who concentrated his practice among the rural population in Imo State, Nigeria, he was recognised and honoured with six Chieftaincy Titles from the Autonomous Communities around where he had his practice. Dr. Uzosike takes joy in giving back to his people annually by offering free medical services during his annual holidays in Nigeria. He is the Chairman of Uzosike Charities and Scholarships. A Knight of the Order of St. Mulumba (KSM), Dr. In pursuing the cause of the Outcast System Elimination Project, the book Love and Stigma: The Outcast System will be the major instrument of propagation of the ideas being pushed. The book was deliberately written to achieve the elimination of the Outcast System as its primary objective. I, Sir. Adolphus Obasi Mbamara Ekejiuba, KSJI, as the Chairman of the Foundation, declare that, as the author of the book, I stand to benefit from royalties and/or other forms of reward for my intellectual work which will arise from the sale and/or use of the book. In any case, a significant part of the proceeds from the book will be used to push the cause of the Outcast System Elimination Project which I am leading as well as to run the Adolphus Ekejiuba Foundation, which I initiated, on a continuous basis. - Sir Adolphus O.M. Ekejiuba, KSJI.